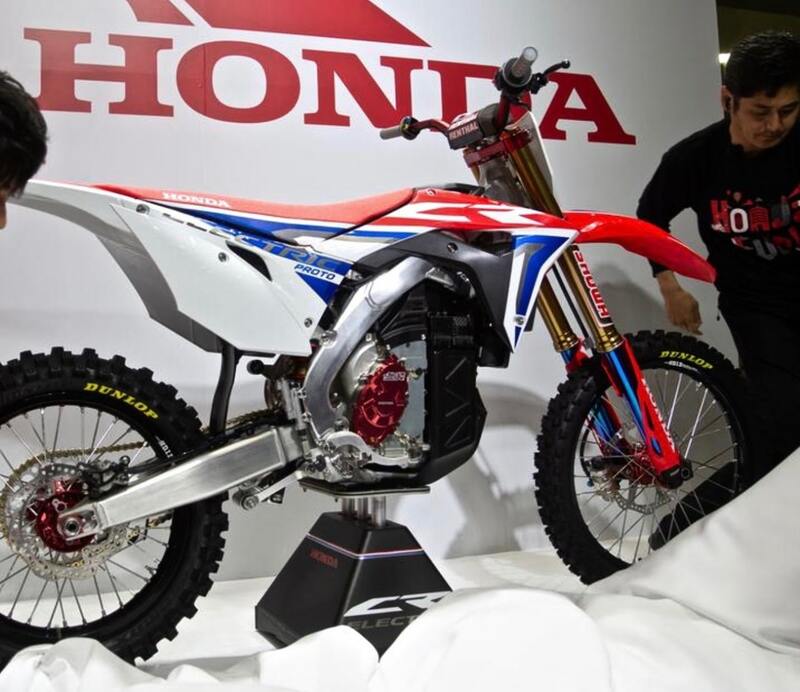 In a surprise move Honda unveiled its latest electric prototype—this time an all-electric Honda CRF450 with a motor in place of the engine. 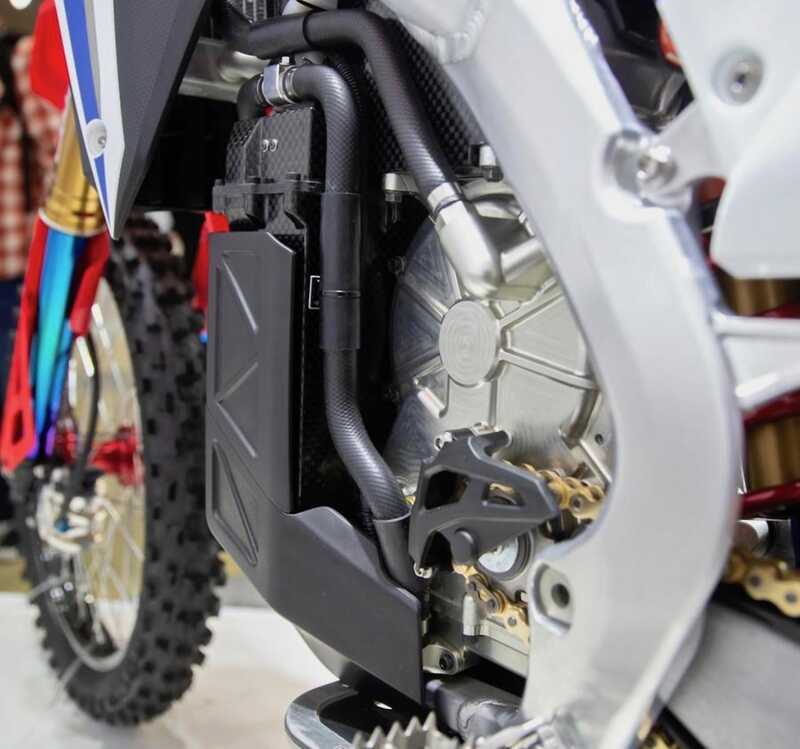 No technical features were announced, but the electric CRF (or would that be CRE) appears of use the majority of a Honda CRF450 chassis. 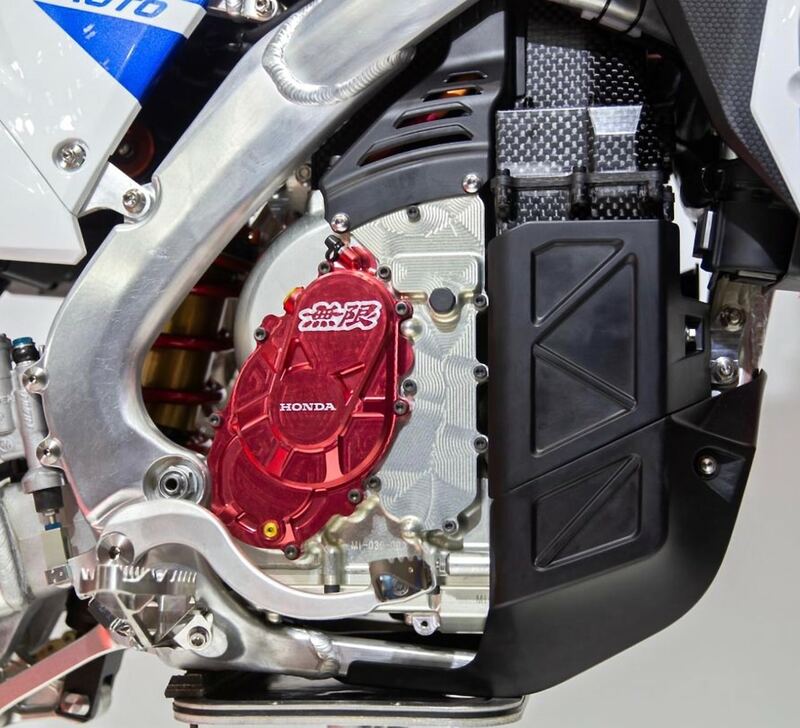 The motor was developed by Mugen who built an electric motocross bike back in 2017 and raced the Mugen Shinden electric Superbike to success at the Isle of Man TT. Close-up of the motor and battery pack which are encased in a plastic housing. Honda has a great deal of electric motorcycle experience from their Shinden electric road racers at the Isle of Man. 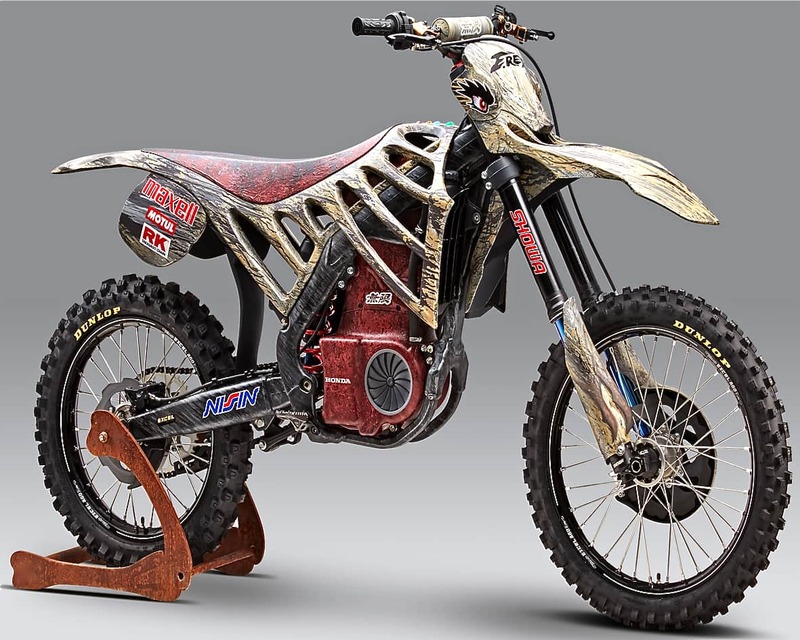 In 2017 Mugen Honda displayed this electric CRF motocross model—with garish dinosaur plastic. 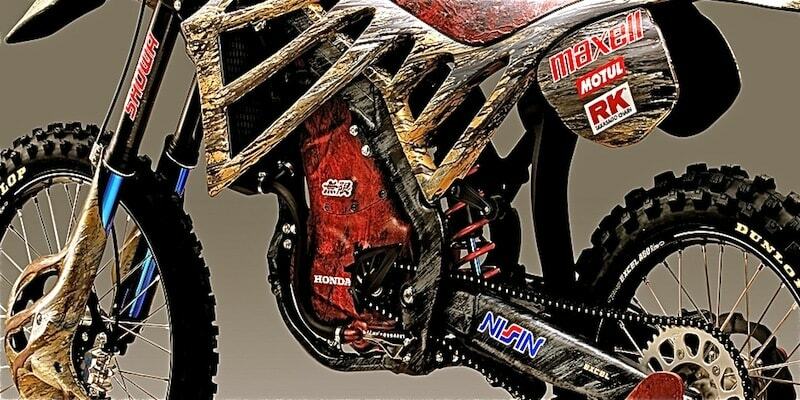 The electric motor package seems to have made major steps forwards since this Mugen show bike.